يوفر فندق Gallery Suites ظروف إقامة راقية وهو خيار رائج للسياح ولرجال الأعمال أيضاً. يقع في منطقة مطاعم, سياحة من برث. يمكن من هنا للضيوف الاستمتاع بسهولة الوصول إلى كل ما تقدمه هذه المدينة النابضة بالحياة. يضفي محيط الفندق اللطيف وقربه من اولد فريمنتل, Luna on SX Cinema, سمسون هاوس سحراً خاصاً على هذا الفندق. إن الخدمات التي يقدمها Gallery Suites تضمن للنزلاء إقامة مريحة. يقدم الفندق واي فاي مجاني في جميع الغرف, تخزين الأمتعة, واي فاي في المناطق العامة, صف السيارات, غرفة عائلية لضمان الراحة القصوى لضيوفه. في الفندق غرف نوم يتجاوز عددها 10، كلها مجهزة بعناية وجمال وبعضها مزود بـ تلفزيون بشاشة مسطحة, اتصال لاسلكي بالإنترنت, غرف لغير المدخنين, مكيف هواء, تدفئة. يمكنك الاستمتاع بالأجواء المريحة التي تقدمها مركز للياقة البدنية, حمام سباحة خارجي, سبا, حديقة طوال النهار. يشكل Gallery Suites بخدماته الراقية وموقعه الممتاز، قاعدة مثالية للاستمتاع بإقامتك في برث. The manager was very helpful when we arrived ,but entering the building at the start of our holiday was confusing, there is no reception area. 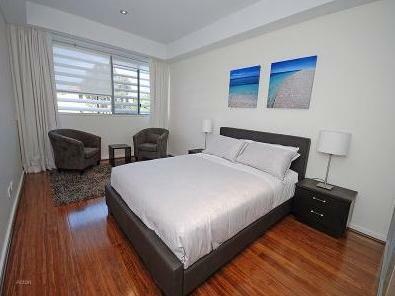 Great location, the centre of Fremantle is a 5 minute walk away. My family and I were in a 3 bedroom unit and it was extremely spacious, it has absolutely everything you need! The only negative would be the bed size, the bedrooms are big and could easily fit a larger bed than a double. Would definitely recommend! . Apartment was spacious and comfortable to accommodate 6 persons. Pros : Just a 3-5 mins walk to Fremantle Market and plenty of international food cafes & restaurants (spoilt for choice) within walking distance. Con : The clothes dryer doesn't work well. Would return to Gallery Suites should we holiday in Perth and thank you to the cheerful building supervisor who has been helpful with directions. Place was squeaky clean. Superb location. 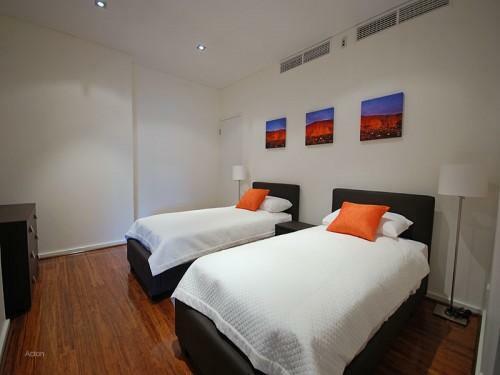 Walking distance to weekend fremantle market and supermarket coles. Near shopping area. Like chemist warehouse, restaurants and target dept store. Love the stay. We were a family of twelve and booked two 3 bedroom apartments and stayed for 5 nights. Though it would have been great to have rooms on the same floor, it was not possible during our stay as the apartments are usually full. We really enjoyed our stay in Gallery Suites; communication regarding check-in was a breeze (we arrived late at night) and it was no trouble at all despite not having a 24/7 reception. The apartment was well-furnished and clean. It was also easy to find and located nearby streets of cafes, supermarket, wet market etc. In case you run out of groceries, there's woolsworths just across the building. 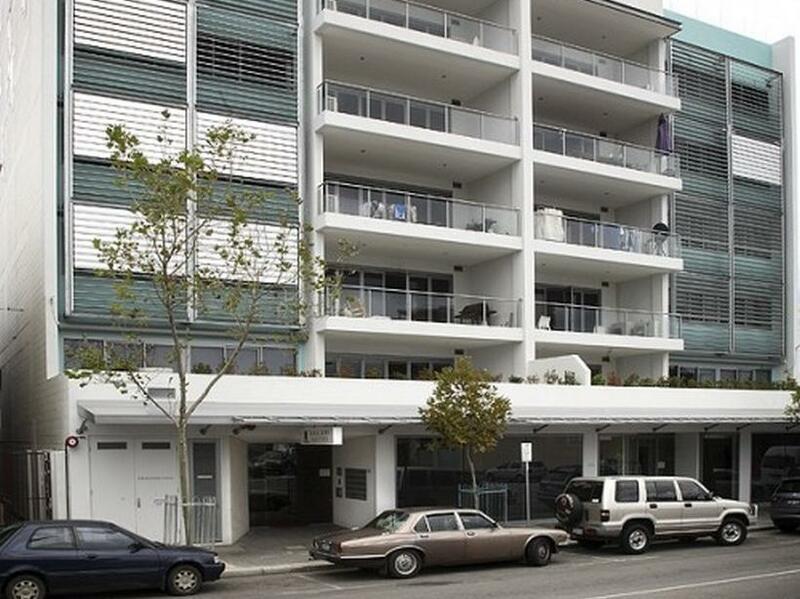 If you drive, you can park outside at night or within the building (though the street to enter the carpark is a bit squeezy and the car lift is a bit slow - but no big deal!). Hotel owner was a Singaporean who made our stay enjoyable. The room is clean, spacious and very bright. Although room rate is high, staff are very helpful and accomodative to allow us to check in early with late notice. In addition, they upgraded us from 2 room apartment to 3 room apartment. Rooms are spacious and clean with complete facilities except the dryer is not powerful which take hours still come out with wet clothes.